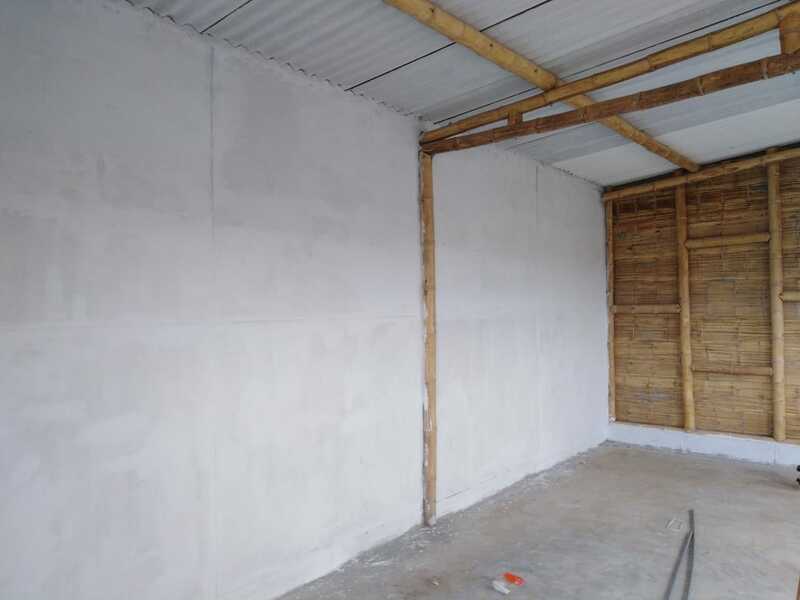 We’re over a month in and already make headway on our new Impact Surf Shop at WAVES Lobitos. With the help of our amazing travelers, local staff, friends and community members it’s coming along faster than we expected. 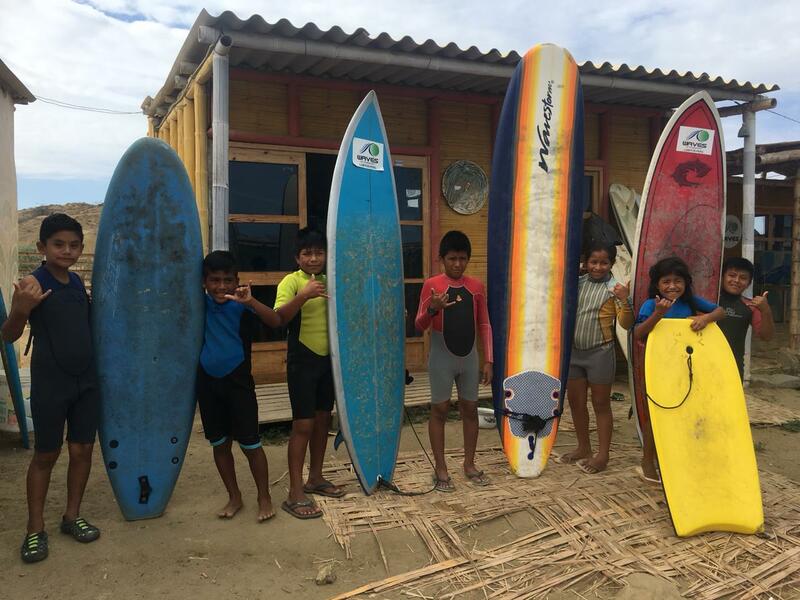 Check out this post to read more into it’s progress and WHY we are building a new surf shop in Lobitos, Peru. When we began this process, we converted our old storage shed into the base of the new Surf Shop and are now currently finishing up the exterior. 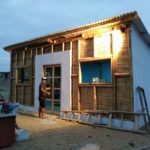 We are adapting the most sustainable building process we can – using recycled materials and natural materials like bamboo, mud and glass bottles. 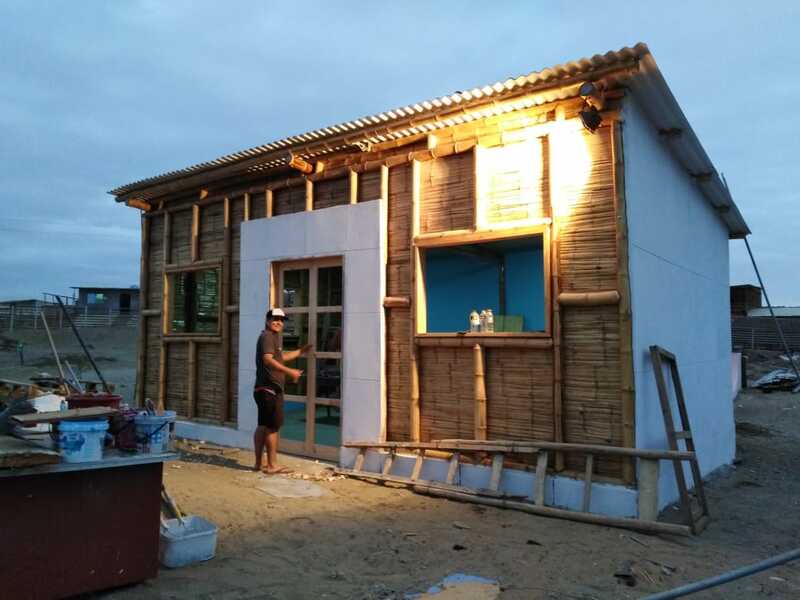 Our team in Lobitos is very lucky to have bamboo construction master, Alex Junior Pena, helping us build a solid base and roof. We are also very grateful to have had the help of four WAVES travelers, Campbell, Briggs, Jack and Christina. In between surf class and catching their own waves, this awesomely motivated group assisted us with a variety of things like painting, cleaning up and more. Thanks to these legends for their help! 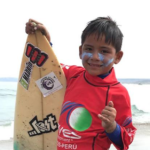 Our Impact Surf Shop will provide sustainability to our mission and work in Lobitos. 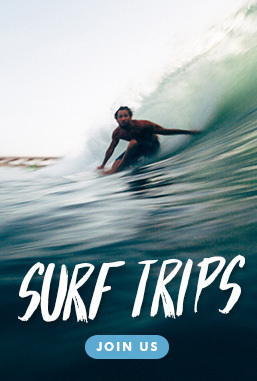 It will be the focal point where we can safely share ideas, cultures, our mission, & existence of rad local initiatives as well as offer services, like surf board rental, repair, and classes, that will help to fund our community programs and services. An impact surf shop will allow WAVES not only to rent and repair surf equipment, sell surf classes, spread the word about its program and activities, but also sell woven recycled bag handicraft manufactured by local Lobitos women and be the meeting point for the walking tour ‘Lobitos Desde su Gente’, two initiatives promoted by the WAVES team to support the people from Lobitos. 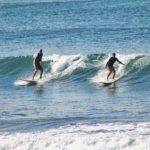 It will also serve as a training platform for selected young locals of Lobitos on how to manage a surf shop, including but not limited to customer service, sales guidance, stock and inventory. There’s still a lot to be done in Lobitos to reach these goals. 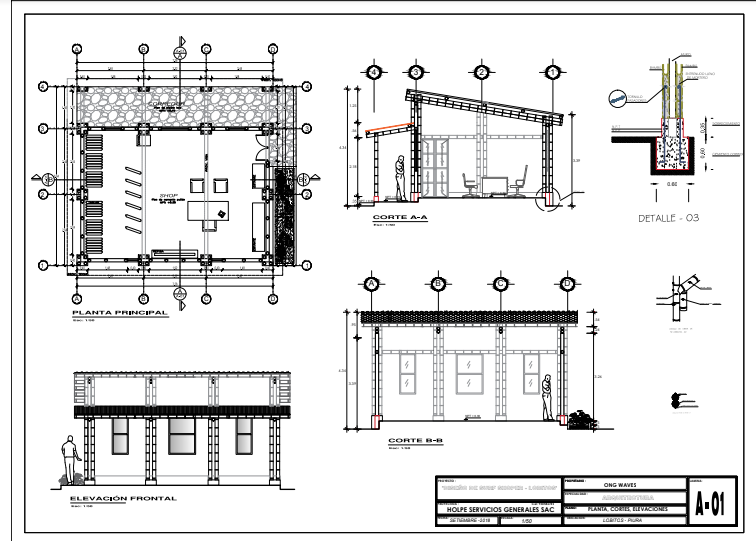 We must finish the construction process and build out the inside of the shop. We will need to fix boards for the shop that will available for rent, buy fins and leashes, as well as create signs and other marketing material to promote our new sustainable business. Many thanks to everyone who has done so already and continues to support our mission in Lobitos, Peru! We couldn’t do it without you! To find out more about Lobitos, Peru and the programs we offer, click here.